It's hard to imagine functional brands like Arc’Teryx Veilance, ACRONYM, Nanamica and The North Face without GORE-TEX. The same goes for the legendary archive pieces along with contemporary designers and brands - fashion without the functional and protective help from the Gore-Tex brand is not an option. From Prada to Palace, Supreme and Off White. The streets of Shibuya, or a Canadian mountain. 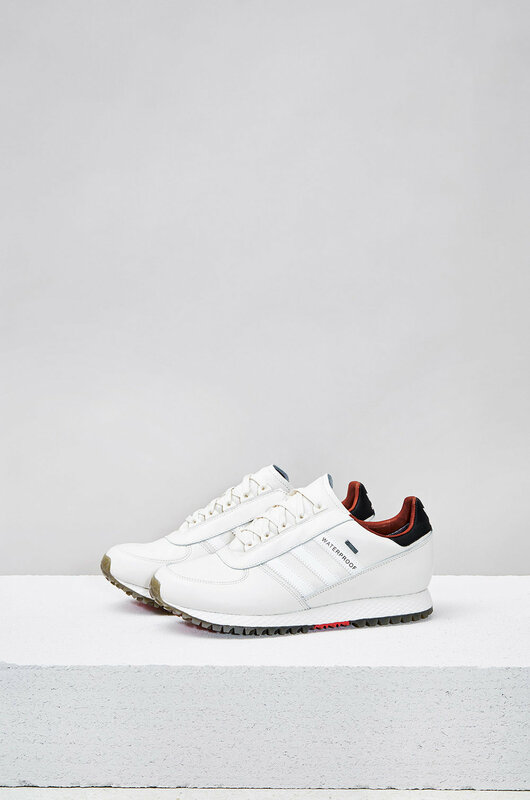 Cool kids wearing THIS IS NEVER THAT in Seoul, Casual Connoisseurs in the UK or streetwear OGs in London paying tribute to Gary Warnett wearing the adidas “Molly”. And of course, Hypebeasts in New York wearing a TNF and Supreme Collaboration - this membrane has made its way into all different worlds, styles and lifestyles of form, fashion, performance and sport. In a time where sportswear, streetwear and fashion are seeing a revival of big logos, badges, branding and people literally collecting names written, embroidered and stitched to their clothing, GORE-TEX does something entirely different and the same, all at the same time: The GORE-TEX logo has become a welcome addition to ACG Jackets, printed on bucket hats, represented on bags, gloves, jackets and any other gadgets and accessories. A scouser from Liverpool, a geezer in Manchester, a techwear head from Toronto, or an innovative designer from Berlin – they can all look good in GORE-TEX while adding functionality to their style. Right now Gore-Tex is exploring new ways, styles and a never seen before recognised hype around its 7 letter name. Different to many other brands and letters on jackets, hoodies and hats, GORE-TEX adds something unique to the mix: not only representing a brand, trend, style or a sophisticated flex, but GORE-TEX also represents pure functionality, an actual reason to wear and buy a jacket, hat, gloves or any other accessory. Clothing found its durable, breathable and water-resistant partner and a way to protect itself. Not by simply wearing a GORE-TEX jacket over an expensive and important fashion piece but by incorporating Gore-Tex into fashion, its fabrics and the designs itself. GORE-TEX has become the most functional and smart letters of all logos you can wear on any garment right now - besides the brands mentioned in the very first sentence - but its history goes back way longer than Instagram streams existed. The GORE-TEX legacy is an ongoing love affair of innovation, quality and ingenious research. And it all started in 1958. Picture this: the year is 1958, and a chemical engineer from Idaho by the name of Wilbert L. Gore has just left a well-respected job with the Du Pont Company to pursue a dream. That dream being, to work in his basement and experiment with materials to pursue an idea of his own. Approximately a decade later, Bob Gore, son of Bill and Vieve Gore, engineered expanded polytetrafluoroethylene (ePTFE) which eventually ended up in the fabric that would become known as GORE-TEX. These rods were extremely porous, with approximately 1.4 billion pores per square-centimetre. For most, this would sound like the exact opposite of what you would want from a so-called “waterproof” material. However, that is where you would be mistaken. For example, although Gore-Tex is waterproof, it is also breathable, and those pores in the material are about 20,000 times smaller than a droplet of water. The “breathable” attribute of GORE-TEX comes from the fact that water vapour (human sweat and condensation trying to escape from inside your outerwear) molecules are actually much smaller than the pores themselves. Thus, allowing sweat to evaporate and prevent the wearer from becoming damp from the inside out while not compromising the actual waterproofing against outside elements. Fast forward to 1976 and from the inception of GORE-TEX. as we know it, W. L. Gore & Associates received their first commercial order for their revolutionary material. This order came mainly in the form of its first two pieces of outerwear known as “Early Winters Gore-Tex Rainwear”, which would be sold in the form of a Parka and an Anorak. They were both cut in a classic 70s style with both being about thigh length, having a very roomy chest and long sleeve. The early products were a huge hit with those interested in outdoor pursuits. It is not only outerwear that GORE-TEX had invested their time and know-how into making waterproof. There are also an abundance of shoes which utilises the legendary membrane technology to guarantee you dry feet. The most obvious implementation of GORE-TEX within footwear would be its consistent use across a wide range of hiking boots and shoes centred around outdoor pursuits, where the basic function of it is very much the same as that of the Gore-Tex used within outerwear. A great example of GORE-TEX being used within footwear would be its use in the Arc’Teryx Bora Mid hiking boot, where each layer of the membrane is laminated within the different outer layers of the boot itself. Then there is also an extra breathable layer within the Bora’s detachable inner “bootie” like liner which provides extra breathability for your foot. On the opposite end of the spectrum however, having a much more fashion focussed design and aesthetic, Converse recently released a wet weather ready iteration of its mainstay, the Chuck Taylor 70s which again utilised the wonderful technology that Gore provide. 1990. A year which will be synonymous with fans of The North Face due to the behemoth Trans-Antarctica expedition undertaken by seasoned explorers from the US, UK, France, USSR, China and Japan throughout 220 days and over 3,700 miles. W.L. Gore & Associates were one of the primary sponsors for the trip, and all members were well kitted out with GORE-TEX branded outerwear produced by The North Face. The subsequent effect of this expedition, at least within the streetwear and fashion community, was that one of the most iconic GORE-TEX jackets to date was produced. However, this trip was not only to showcase that GORE-TEX and The North Face could produce a product that would literally keep people alive on the only uninhabited land mass on Earth. No, the main purpose of this trip and one of W.L. Gore’s central ethos was to shed light on the beginnings of aggressive climate change and the deterioration of the continent of Antarctica. This was much in line with Doug Tompkins’ The North Face, and together with each of the team members, put pressure on the government of six world superpowers to take notice and make changes to better our planet. Post-South Pole success, the years that followed saw the GORE-TEX brand be implemented into many big-name brands which led to mass publicity and revenue to pour back into Bill Gore’s favourite pass time - Research & Development. After those eight years of R&D, Gore arrived at an entirely new shell technology. Paclite. Paclite technology was initially developed for those who had space and weight saving in mind. Thus, when handling regular GORE-TEX and Paclite, there is a noticeable difference. This might lead some people to believe that it is intact inferior to the regular material, however, unless being subjected to sustained and aggressive harsh elements, you would be wrong. With Paclite being developed for those who enjoyed more weight-conscious activities like hiking and cycling, the fabric itself had to be thinner and more lightweight to allow for ease of packing and giving the wearer the ability to take up the smallest amount of space in their pack. One of the best implementations of Paclite technology in more modern times can be seen in Acr’Teryx’s best-selling Beta SL jacket. As well as this, independent Scottish sneaker store Hanon recently released their newly available collaboration with the Gore-Tex brand, where they also made use of Paclite technology as part of its new Research program. Built for maximum ruggedness and protection in the most extreme environments. Hard wearing, the pinnacle of GORE-TEX fabrics. Yes, I’m talking about 3-Layer Pro-Shell technology. A name that will be very familiar with fans of the techwear scene, where Errolson Hugh’s cult brand ACRONYM use this as their primary fabric for the construction of their shell jackets. Pro-Shell debuted thirteen years ago now, and since then the technology has been further developed into what can only indeed be described as a super fabric. Not only is it probably the most waterproof fabric currently on the market - being able to take a pounding of approximately 28,000+mm of rainfall in a single 24 hour period. This particular fabric, as implied above, is unrivalled in its field. It may carry a premium price tag for products utilising it; however, this really does hit the nail on the head regarding the old saying “you get what you pay for”, or in Gore’s terms “Guaranteed to Keep You Dry”. We can see the GORE-TEX brand yet again evolve and usher in an entirely new product brand known as GORE-TEX Infinium. This new product brand is the newest direction of different product technologies that go beyond waterproofness offering more comfort in less demanding weather situations. Paris Fashion Week 2019 - over 40 years of innovations and millions of people kept dry later, the Gore-Tex brand opens up its first showroom in Paris during Men’s Fashion Week to present the synergy of a lifetime of collaborations, innovations, iconic partners, patterns and iconic jackets. 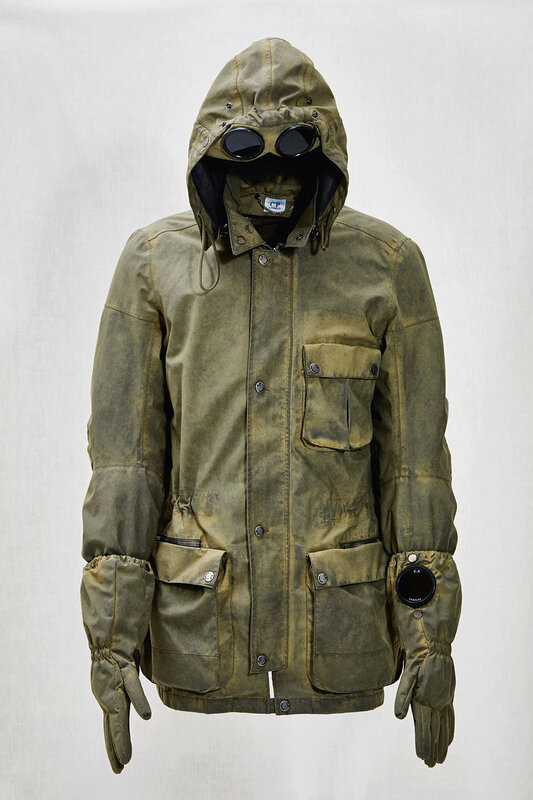 From Aitor Throup's legendary CP Company 20th anniversary Jacket, to London's utopian, mysterious and radical brand Vexed Generation. ACRONYM, Junya Watanabe, Visvim and a long ongoing list of brands and icons. GORE-TEX can look back at a legacy of functionality. From innovation to fashion, style and more, this membrane has a lot of stories to tell. A creative documentary, exhibition, short film series and insight about creatives and figureheads of today's fashion and their relationship and story with this iconic and revolutionary membrane. It utilised the memories of the most respected figureheads on the scene to highlight the brands legacy and ongoing future. With Stephen Mann the first issue of Selected Memories of Functionally presents a unique creative that worked as a stylist and consultant for numerous brands - and just recently started his own brand together with Kiko Kostadinov, Taro Ray and Michael Kopelman. To showcase the versatility, usage, and diversity of GORE-TEX he styled and presented different ways of wearing, using and combining GORE-TEX with other garments. While using legendary pieces, he showed the simple but obvious and essential aspect of Gore-Tex and fashion: It's a functional membrane. And functionality is a universal language that everybody can, and should speak. While Paris fashion week opens up its doors and special shows only for the eyes of a few, for followers of a particular taste, culture or designer - GORE-TEX is for everybody. All tribes of creatives, work backgrounds and fashion worlds are able to interact, commute with and communicate their style through this membrane. A talent not many brands with or without many logos are able to bring into their legacy. On top of that, the science of comfort and functionality never looked so stylish and Stephen Mann shows us this in an impressing editorial shot by Stefan Heinrichs. Presented in a sleek showroom in a back alley in Paris, the brand stayed true to its core. An effective but always humble approach, perfect execution and unitarily in style. A brand like GORE-TEX does not need loud noise, a hype machine, or the usual stuff we see and know from Paris. The garments speak for themselves, and Stephen Mann laid down the picture-perfect sheets of music to listen to. Additional to the showroom, the GORE-TEX studio - supported and guided by another icon of the scene Beinghunted - is presenting a video series with Stephen Mann giving us a deeper insight into his own world with GORE-TEX. A must see for every fan of the brand a lover of a good jacket. “Guaranteed to Keep You Dry” is the well known slogan, and long standing promise of W.L. Gore. It was first coined in 1989. 30 years later in 2019 this guarantee still stands. There is more to come, from innovation to new brands, designs and designers, artists and creatives that will work with the brand - or to keep it simple: some damn good jackets and shoes are already in the making to keep us dry tomorrow and beyond. The legacy still goes on, and the latest love and hype and usage of this one membrane keeps on going and going. The Biancissimo team can't wait for more memories of functionality, more iconic designs, more memories, more Paris (and more jackets) involving this miracle membrane.